A chila is a dosa-like pancake which is usually made out of besan (Bengal Gram Flour) and served as a snack or breakfast item in Rajasthan. I make it for breakfast once in a while. 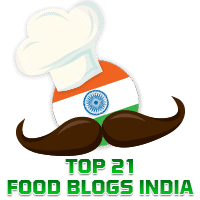 You will find in this blog the recipe for Sprouted Moong & Methi Chila. Today's chila is made with protein-rich moong dal in place of besan. It is enriched with the use of grated paneer (cottage cheese). I have adapted this from the recipe for Moong Dal & Paneer Chila by the legendary Tarlaji Dalal. We had these chilas with a green chutney made of mint and coriander. * In case the moong dal batter is too thin, you may add 1 tbsp of Besan to thicken it.